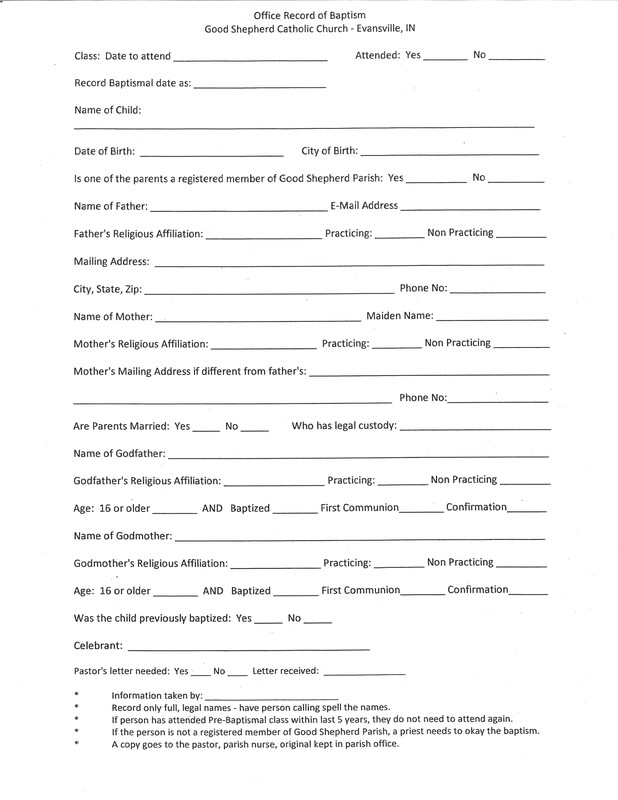 The following sheets are used at Good Shepherd Catholic Parish to gather details for scheduling Baptisms and assigning Godparent(s). 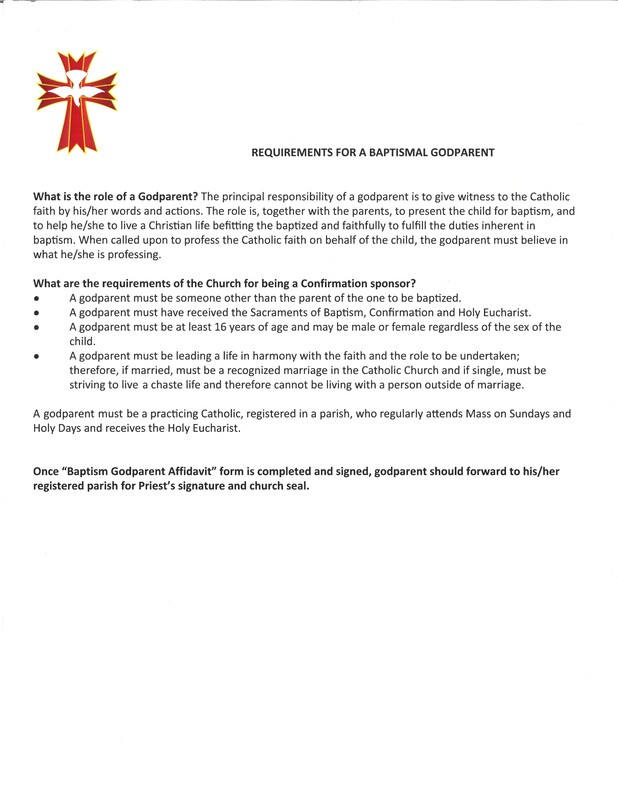 Please contact the Parish Office to discuss possible dates and times to schedule a baptism and to assist with corresponding paperwork. 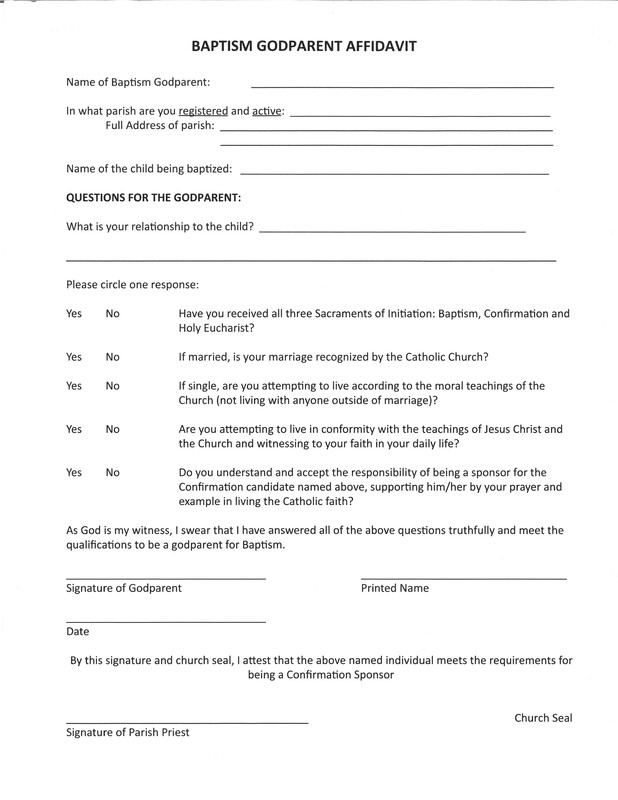 Baptism Classes for parents are also offered.